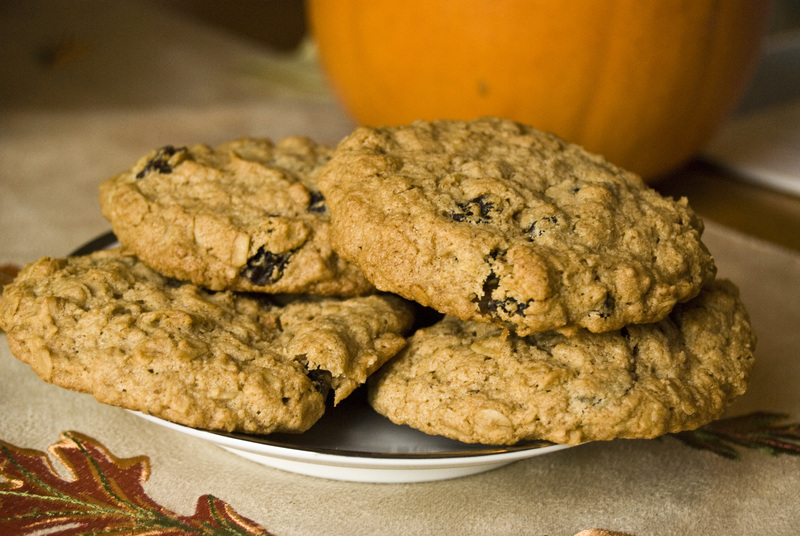 If you like oatmeal, you will LOVE these cookies. They are made of all oatmeal. No wheat flour, just oats. They are slightly crispy on the outside and chewy on the inside just like a good oatmeal cookie should be. You will need a scale to measure the ingredients. This is because it is Alton Brown’s recipe and he doesn’t include measuring cup measurements for a lot of recipes. Why? Well, 1 cup of flour to you, might be a different amount to me. But 16 oz. of oats is 16 oz. of oats no matter what you do. 1. Preheat oven to 375 degrees. Toast oats on a cookie sheet (with sides) for 20 minutes. 2. Take half of the oats (8 oz.) and put them in the food processor for 3 minutes. 3. While that is churning, I put my butter and sugars in the mixer and using the paddle mixed for 2-3 minutes. 4. After the oats are done in the food processor and look like flour, add the baking powder, cinnamon, and salt. Pulse 3 times. 5. Put the mixer on low. Add egg and vanilla. Slowly incorporate the ground oats until just combined. 6. Stir in the remainder of the 8 oz. of toasted whole oats and raisins.